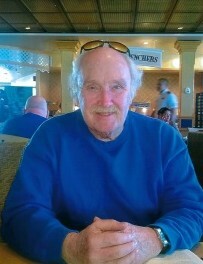 Obituary for Gerard Albert White | Arthur F. White Funeral Home, Inc.
WHITE - Gerard Albert of Spring Hill, FL and East Northport, NY on March 30, 2019. Loving and adored husband of 46 years to Maureen (nee Spellman). Devoted and cherished father to Staceyann (Louis) Fiore, Matthew (Jamie) and Kerry (Jonathan) Kramer. Loving and doting grandfather to Colin and Tucker Fiore, Ronan and Maeve White and Douglas and James Kramer. Reunited son of the late Albert and Mary (nee Toomey). Beloved brother to James, Joyce (Robert) Master-son and Lorraine (William) Fairfield. Jerry loved the game of golf, especially caddying as a boy and later playing at Bethpage Golf Course and attending there the U.S. Open. He is a graduate of Chaminade H.S., St. John's University (B.S. ), Fordham University School of Law (J.D.) and New York University School of Law (LL.M.). Jerry served in the United States Army, stationed in Mannheim, West Germany. He was a caring and selfless husband and father until his end. "Taimid i ngra leat a Dheadai." Reposing Friday, April 5th from 2:00-5:00 and 7:00-9:00 pm at Arthur F. White Funeral Home, 315 Conklin St., Farmingdale, NY. A Funeral Mass will be held on Saturday, April 6th at 9:00 am at St. Kilian RC Church, Farmingdale, followed by Catholic burial in St. Charles Cemetery, Farmingdale.